Hope you are all well. What an exciting month it has been. Mymanu Clik® enters a critical phase. For the past few weeks, our engineers have been testing the Mymanu Clik® prototype. For instance, we had to fine-tune some audio components in order to get the highest sound quality on the market. Sound is extremely important whether you listen to a song or a conversation. We have also made few tweaks to the charging case. We want it to be innovative so people say: Wow! We are getting there. We have also completed several communication test – Dual mode communication using Mymanu Clik®, Multi-mode and long distance mode. The testing of prototype by our engineers is critical at this stage. The more we fine-tune now, the better and quicker the Beta testing will be. We will be asking some of you will take part in our Beta testing very shortly J. Our priority is to ensure you are satisfied with your earbuds. This means working really hard now on finding solutions to overcome challenges. A big thank you to everyone who participated in our competition and helped make it a success! We received over 1,000 outstanding entries to try out Mymanu Play, the App that will enable you to access all your music files and streams from one platform and discover what people listen around you. 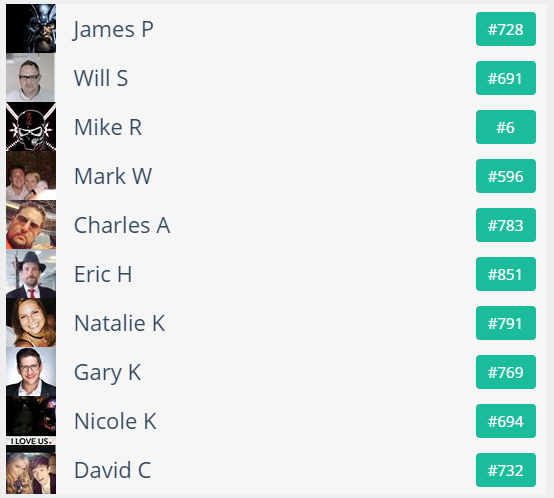 We would like to congratulate the 10 winners: James P, Will S, Mike R, Mark W, Charles A, Eric H, Natalie K, Gary K, Nicole K and David C. In the next few days they will be testing the App alongside our engineers and give us their feedback and also report any bugs to correct before the official release. Watch out for our competition to try Mymanu Play which will start next week. We will announce it on our social media. We would like to thank you for believing in us and being part of this amazing journey.